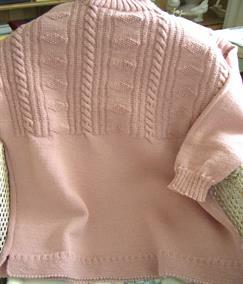 As a guide, the average adult Guernsey sweater weighs about a Kilo (2.2lbs). The approximate yardage per cone is 1200 yards (1097metres). (US size 1) needles but everyone is different so experiment to find what is most comfortable for you. Just copy and paste into your browser if it's not live. For knitting aran or fair isle patterns, experiment with larger needles to get the fabric feel you want. Please, always wash and steam press your tension swatch just the same way you will your finished garment; i.e., wash and rinse in warm water, short spin and dry flat away from direct heat and sun. Please note, this beautiful wool is not machine washable. We are delighted that we can now offer Holz & Stein Exotic Hardwood Knitting Needles and can also supply 40cm steel dpns in sets of 5 (2mm, 2.25mm, 2.5mm, 2.75mm and 3mm) and 40cm pairs in 2.25mm.